Projects to support basic education in the slum areas of Fortaleza, state of Ceará in Northeastern Brazil. An intimate look into the workings and customers of a crack den in Pelourinho, the historic centre of Salvador de Bahia - UNESCO World Heritage Site. HIV/AIDS Awareness and Educational activities held in a peripheric neighbood of Maputo. Series of portraits of ordinary but marginalized people I met in Brazil, Burma and Mozambique in the context of different projects. 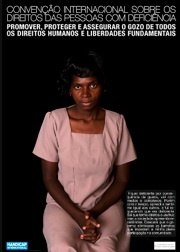 They face daily discrimination because of their gender identity, disability, drug addicton, prostitution and/or HIV/AIDS. The repatriation of refugees from Tanzania after years of forced exile is source of many challenges, among which the access to education, where a construtive reinstatement is at stake. The RET has several projects in Burundi to assist returnee integration through national language learning, the strenghtening of schools and infrastructures, and life skills courses. Conflicts have a direct impact on food security, drastically compromising access to food. The war is going on and off in eastern Congo since 1996. Often forced to flee as violence escalates, people uprooted by conflict lose access to their farms and businesses, or other means of local food production and markets. This film is about Maggy and Emilie, two young and HIV positive congolese women who are at the frontline of the HIV response in Kinshasa, DR Congo. FILM 4 min. 〮FILM 10 min. Scaling-up antiretroviral treatment in countries with a high AIDS burden and human resource shortages: How can health systems react to such challenges? MSF team in Tete rural province launched a pilot project that adresses this crucial question. Here is their answer: an innovative model of ART delivery built around the concept of self-management with a community-based approach that has the potential of making the scale-up of ART a reality in Mozambique and other Southern African countries. The Multi-Platform Awareness and Advocacy Campaign «Tugawe» («Let’s Share») promotes gender equality on the social, political and economic levels through women empowerment and gender-sensitive training to all actors, women and men, in eastern Congo and around the world. Exchange Views (ex-Free Advice) initiative in partnership with L’Observatoire de la Parité, with the financial support of monusco (United Nations agency) and the Kickstarter crowdfunding platform. MSF teams provide primary and secondary health care, including antenatal and postnatal cares, mother and child consultations and nutritional support predominantly to children under five years. Each clinic has a therapeutic feeding center where malnourished children and their mother receive supplementary food. 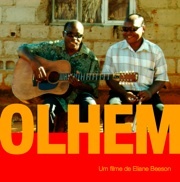 Elaboration of a book and an audio slideshow featuring graduated women’s life experience from Niassa, a patriarcal and very traditional province in Northern Mozambique. The material is to be distributed in schools in Niassa province in order to encourage girls and women to pursue their studies. For the last 15 years, MSF/AZG has been working in Myanmar, providing basic healthcare with a focus on malaria, tuberculosis and sexually transmitted infections. In 2003, MSF started a program for people living with HIV/AIDS, including counselling, nutritional support, treatment of opportunistic infections and essentially anti-retroviral treatment (ART). These activities are implemented in twenty clinics in rural and urban settings including Yangon and three other states. Creation of a Picture Portfolio on health related topics. Production of an Information, Education and Communication kit (posters, postcards and DVD) that highlights discrimination issues, promotes the inclusion of people with disabilities in the society with special focus on Gender issues, and advocates for the ratification and implementation of the UN Convention on the Rights of Persons with Disabilities (CRPD). According to myth, God entrusted San Vicente with a difficult task: he had to carry a bag filled with homosexuals, and had to spread them all over the world. Upon arriving in Juchitàn de Zaragoza, San VIcente’s bag accidentally split open. That’s why Juchitàn is now called “the land of Muxes” (homosexuals in the indigenous Zapotec language). Portraits of a representative sample of women and girls who work as carriers in the Kivu provinces of eastern Congo. Thousands of women in eastern Congo work as “carrier women”. They are part of the landscape, for many they are invisible. -in June/July 2011 at Turku in Finland - European capital of culture 2011. The exhibition won an award at the New York Photo Festival in May 2011 and will be shown in several cities in Belgium in November 2011. The two eastern Kivu provinces of the Democratic Republic of Congo are labeled «the worst places in the world to be a woman». A series of conflicts ravages the region on and off since 1996, and violence against women never ceases. 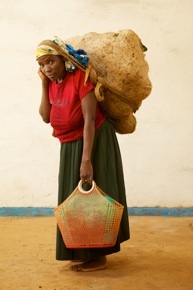 «Heavy loads» features the journey and struggle of «carrier women», who seem to carry on their back the extreme burden of DR Congo social, economic and political situation. Various types of HIV related projects in Xai Xai and Maputo, including testing and counselling, health services, pediatric treatment, home-based care services, food assistance, support to orphans and vulnerable children, prevention with children and young people through life-skills education and income generation. On the 28th October 2009 the 4th general elections took place in Mozambique. Multiparty democracy was introduced in 1992 after the signing of a peace deal that put an end at 16 years of civil war. FRELIMO (Frente de Liberação de Moçambique) party is in power since independence from Portugal in 1975. In 2009 Daviz Simango, funder of the recently created third opposition party MDM (Movimento Democrático de Moçambique), represented a challenge to Frelimo’s supremacy. Studio portraits of a representative sample of women and girls who live permanently with a disability due to injury or illness attributed to sociocultural and environmental factors. The photographs are combined with testemonies of the inequalities and rights violations people with disabilities experience, as well as informations and insights relevant to the causes and consequences of disability in Mozambique (including beliefs and attitudes towards disability). The initiative gives priority to women and girls as they face multiple forms of discrimination and are more likely to be victims of abuse and exclusion. Each poster is linked with one of the eight general principles of the UN Convention on the Rights of Persons with Disabilities (CRPD). Lucas and Isaura are blind. They live and work in Maputo city, and they have similar aspirations as the rest of the population. They practice activities generally available exclusively to people without disabilities and they are perfectly integrated in society. However, they often encounter barriers and negative attitudes. This short film aims to give a positive perception about people with disabilities, to briefly describe the physical and social barriers they face on a day-to-day basis and thereby demonstrating the importance of the ratification of the UN Convention on the Rights of Persons with Disabilities (CRPD) by the Mozambican government. Photography of activities such as Braille education, contemporary dance, swimming, music, athletism and vocational training (computer, massage, arts & crafts, for example) to promote awareness of the capacities and contributions of persons with disabilities. Each postcard is linked with an article of the UN Convention on the Rights of Persons with Disabilities (CRPD). Interactive website with artistic, academic and institutional content on violence against women in the world. Every year on November 1st, Mexican cemeteries enliven with color, feasting and lamentation. In the light of candles and shadows of graves, families gather for a unique meal with their dead relatives. This macabre and poetic pre-Colombian ritual is recognized by UNESCO as part of the World’s Intangible Cultural Heritage, illuminating the soul of onlookers and bereaved alike.